While the news media is busy trying to get the Republican presidential candidates to comment whether they believe Mormonism is a Christian religion or not, it would help if the public and the media understood some facts. The subject of Christianity and protecting those beliefs are really not a concern of most news establishments. That is evident in the coverage most Christian venues get from reporters. To think that all of a sudden reporters care about a particular Christian belief is really stretching their motives. They are looking for something that can be used against any Republican candidate today, tomorrow and certainly during the election against Obama. Christian belief is based on one incredible fact; Jesus Christ is the Savor of the world, and all that believe in him will be saved. Mormons belief Jesus Christ is the Savor, the Son of God. Leave it at that and the answer to the question everyone keeps probing about is satisfied. Many Christian denominations have differences of opinions on doctrine. Most of it is not earth shattering and really does not set them so far a part. Cults on the other hand, have certain aspects in common with each other that contradicts Christianity. 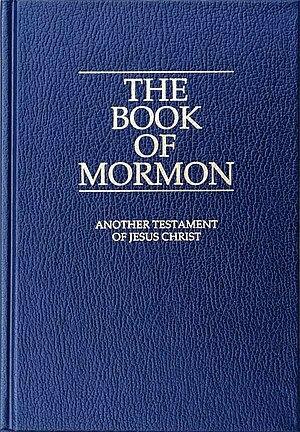 They are; the focus on another person that started the religion as in the case of Joseph Smith founder of the Church of Jesus Christ of Latter Day Saints (Mormon), and additional writings that are accepted as the word of God such as the Book of Mormon, Pearl of Great Price and Doctrine of Covenants written by Joseph Smith or transcribed as claimed by the religion. These factors are what Gov. Perry’s pastor was referring to when he called Mormonism a cult. I hope that the Republican candidates can continue to stay away from the traps that the news media tries to set for them on this issue. Christians understand both sides, non-believers never will. The author is a past member of the Mormon church. This entry was posted on Monday, October 10th, 2011 at 8:54 am and is filed under Christian, Current Events & News, Government/Politics. You can follow any responses to this entry through the RSS 2.0 feed. You can leave a response, or trackback from your own site.